How important is call quality in your facility? It could be argued that in the modern call center, it’s the backbone of your entire business. However, many of today’s centers overlook this important factor to success, focusing instead on meeting other metrics through automation. Letting call quality lapse is a mistake that you can avoid. All it takes is a little bit of knowledge of how call quality assurance techniques work in the modern call center and how to put them to work through your management staff – as well as the will to make it happen. 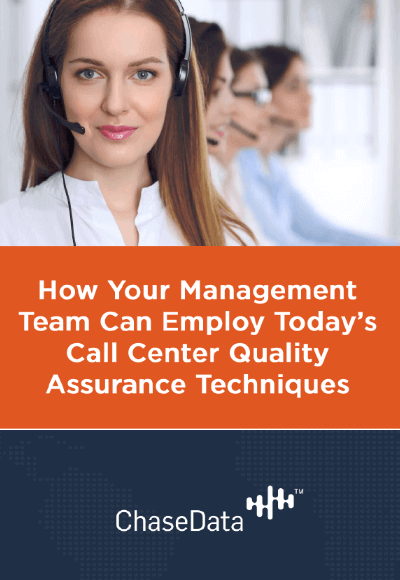 In this free ebook download, "How Your Management Team Can Employ Today’s Call Quality Assurance Techniques ", we will examine call quality assurance techniques and more that can be used to improve the performance of your call center.